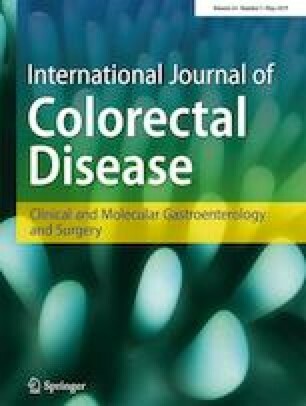 Our study seeks to describe our surgical technique of the use of a tissue expander and a pelvic sling in order to perform high-dose pelvic irradiation without incurring radiation toxicity to the small bowel. High-dose radiation therapy for pelvic tumours comes at a risk of radiation toxicity to the small bowel. Our study discusses our novel surgical technique of compartmentalising the abdomen and the pelvis through the use of a tissue expander and pelvic sling to avoid small bowel radiation toxicity. We present a patient with an unresectable sacral chordoma. We describe our surgical technique incorporating both a tissue expander and an absorbable pelvic mesh sling to successfully compartmentalise the abdomen from the pelvis. The patient underwent an uneventful surgical procedure to place the tissue expander within the pelvis and deploy the pelvic mesh sling. Following surgery, a separation of at least 8 cm was achieved between bowel loops and the tumour. A dose of 70 Gy delivered over 35 fractions using intensity modulated radiotherapy (IMRT) was administered to the sacral chordoma, whilst managing to constrain the maximum bowel dose to 35.7 Gy. Surgery to remove the tissue expander was uneventful. The patient has not suffered any small bowel irradiation toxicity. Our technique to exclude small bowel from the pelvis is effective and safe. This technique not only can be applied in the setting of unresectable sacral chordomas but also may be applicable to other pelvic cancers which require radiation therapy. This paper has not been published elsewhere. All authors are in agreement with this paper. Dedrick Kok Hong Chan contributed to the data collection and analysis, revision of manuscript, and final approval of the manuscript. Timothy Cheo contributed to the data interpretation, drafting and revision of manuscript, and final approval of the manuscript. Wai Kit Cheong contributed to the data interpretation, drafting and revision of manuscript, and final approval of the manuscript. Written consent was obtained from the patient for publication of this report and any accompanying images.